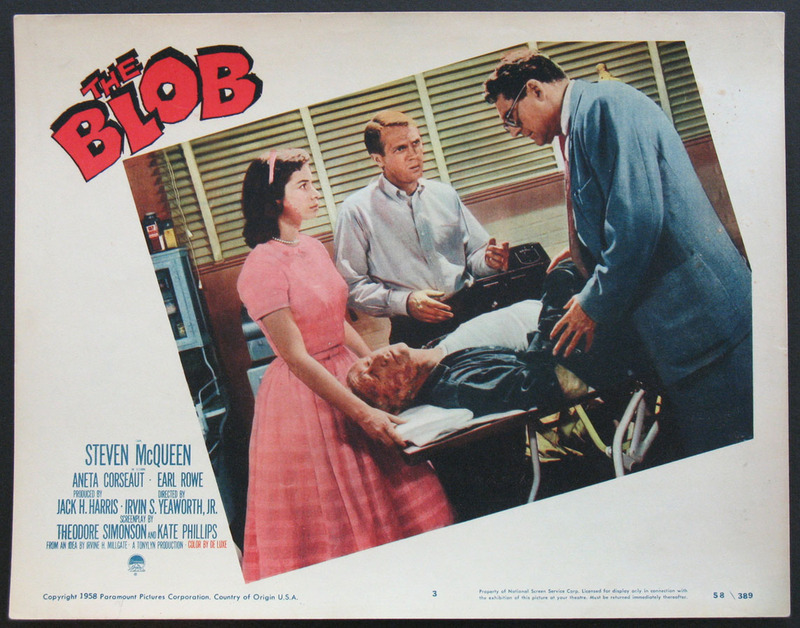 Steve McQueen with the Blob's first victim. Directed by: Yeaworth, Irvin. 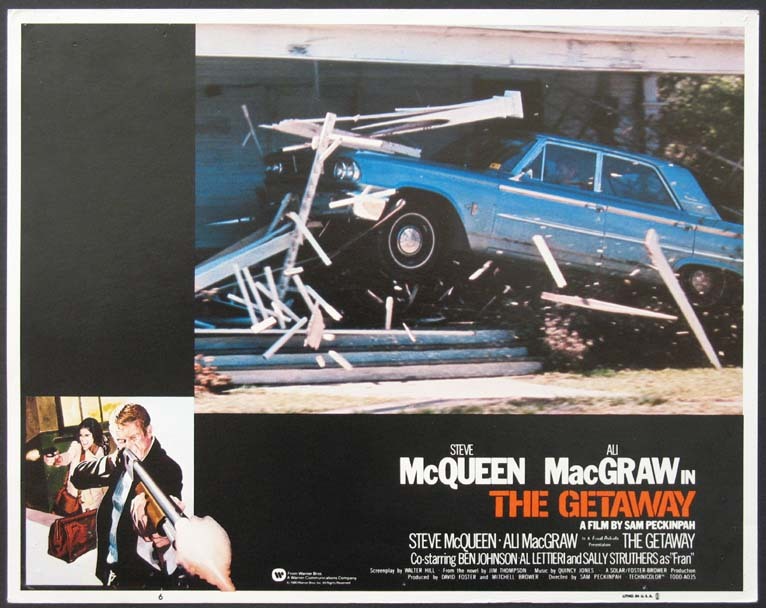 Lobby Card (11x14) , (SC#3) FINE-VERY FINE, U.S.
Steve McQueen, Robert Vaughn, Jacqueline Bisset. Directed by: Yates, Peter. Steve McQueen, Robert Vaughn, Jacqueline Bisset. Directed by: Yates, Peter. 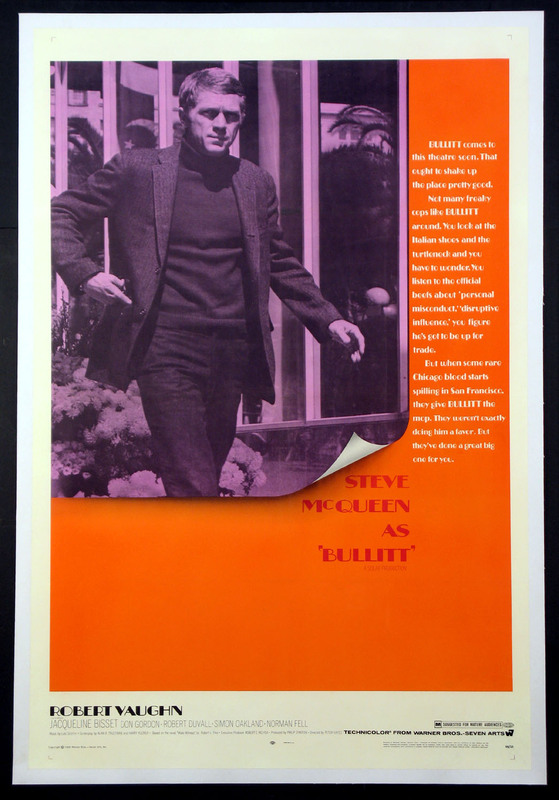 Style A..
1-Sheet , 27x41 Advance FINE-NM, linenbacked, U.S.
Steve McQueen, Robert Vaughn, Jacqueline Bisset. Directed by: Yates, Peter. Style A. 1-Sheet , 27x41 Advance VERY FINE, U.S. Original unused pressbook with herald and 24-sheet facsimile. Steve McQueen, Robert Vaughn, Jacqueline Bisset. Directed by: Yates, Peter. Pressbook , 11x17. 24-pg FINE-NM, U.S.
1-Sheet , 27x41. 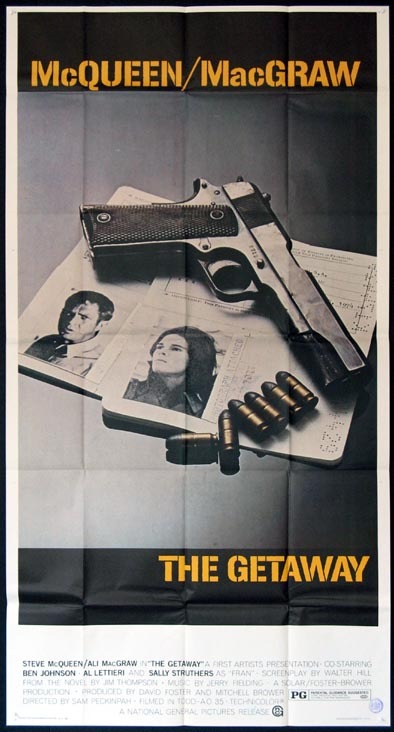 Advance FINE, U.S.
Steve McQueen, Robert Vaughn, Jacqueline Bisset. 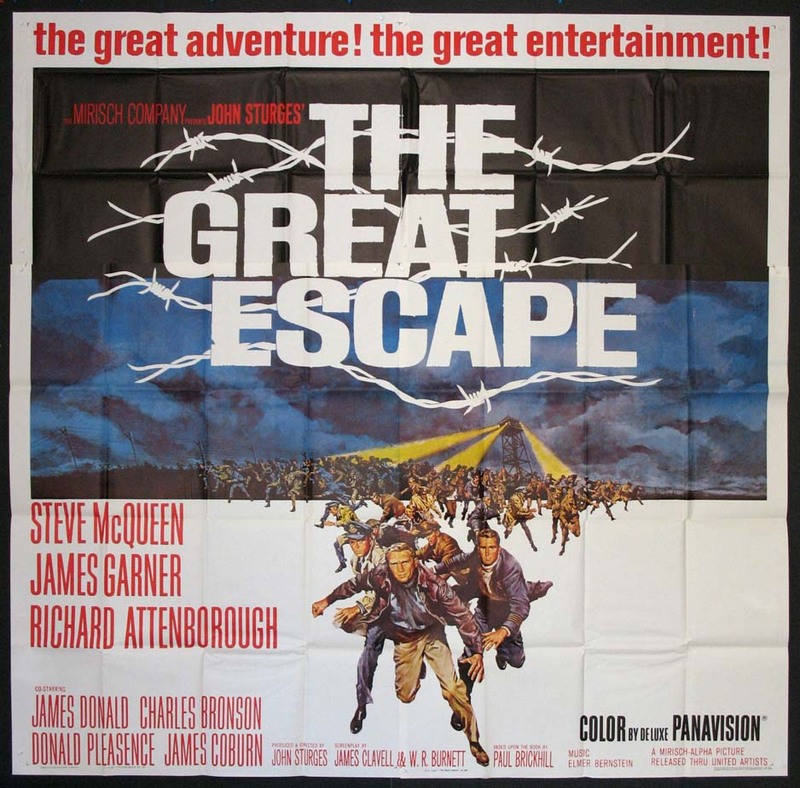 One of the most iconic movie posters of the 1960s. Directed by: Yates, Peter. 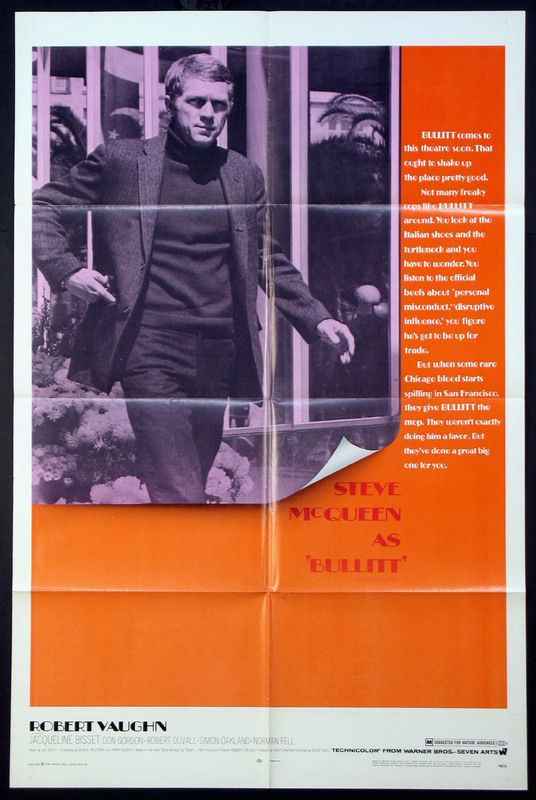 3-Sheet , 41x81 VERY FINE, linenbacked, U.S.
High-stakes poker with Steve McQueen, Edward G. Robinson, Ann-Margret, Karl Malden. 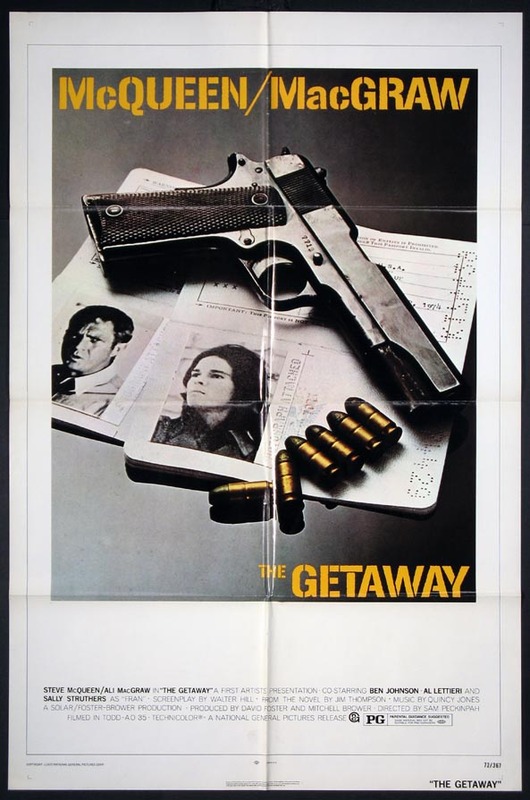 Directed by: Jewison, Norman. 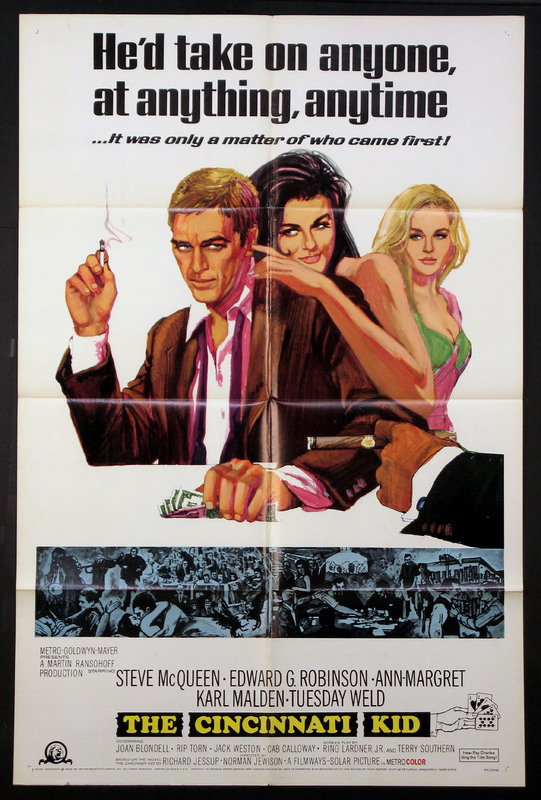 1-Sheet , 27x41 FINE-VERY FINE, U.S.
Steve McQueen, Edward G. Robinson, Ann-Margret, Karl Malden. 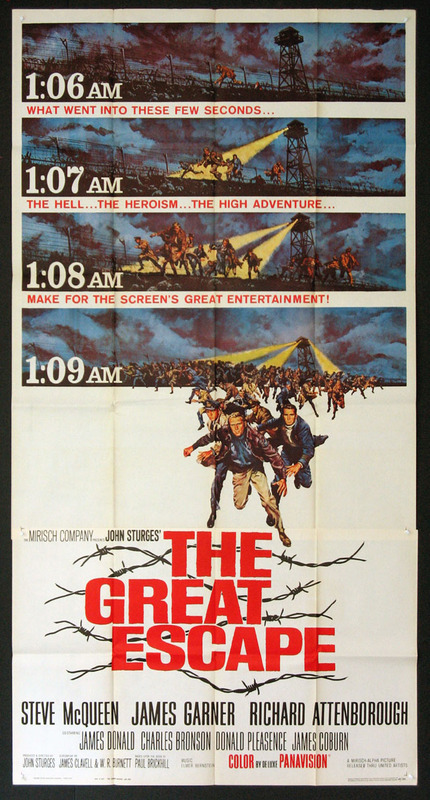 Directed by: Jewison, Norman. 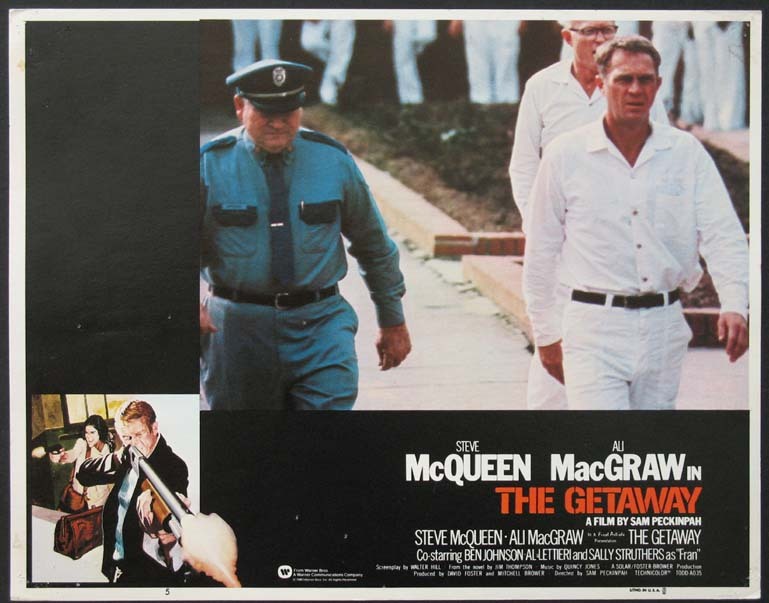 Lobby Card (11x14) , (set of 8) VERY FINE, U.S.
Steve McQueen, Bibi Andersson, Charles Durning. 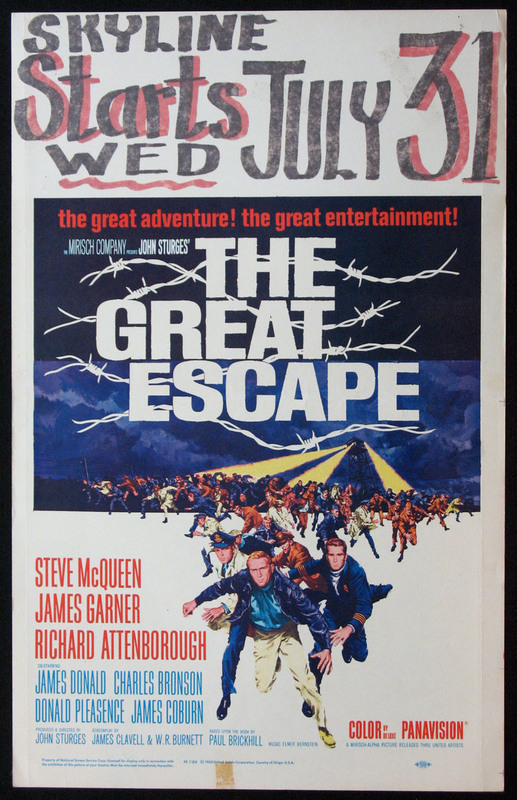 Scarce poster for film's very limited original release. Directed by: Schaefer, George. 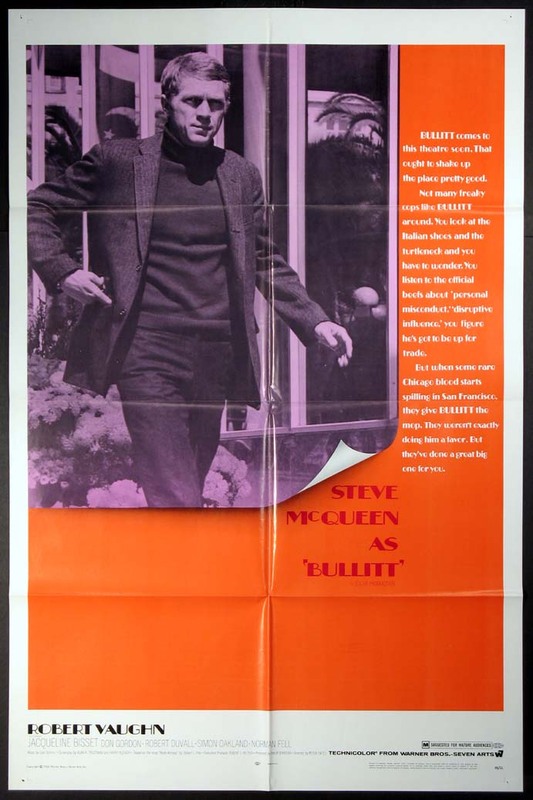 1-Sheet , 27x41 FINE, unfolded, U.S.
Steve McQueen, Ali MacGraw. Directed by: Peckinpah, Sam. Steve McQueen. 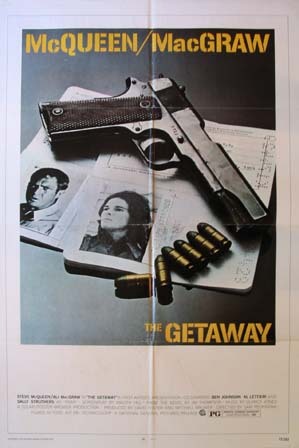 Directed by: Peckinpah, Sam. 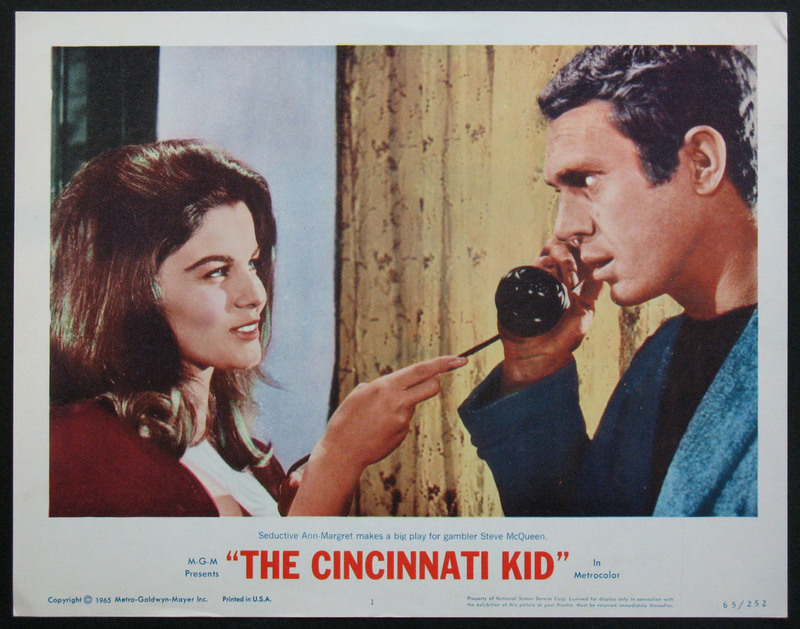 Special Christmas Advance for Steve McQueen, Ali MacGraw heist thriller. 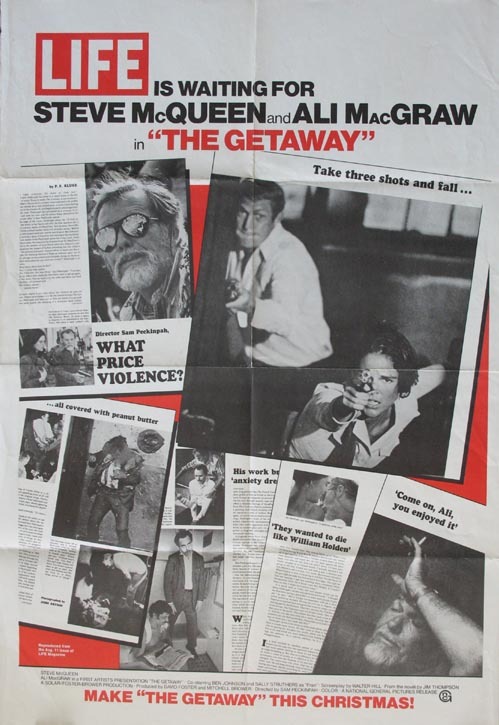 Directed by: Peckinpah, Sam. 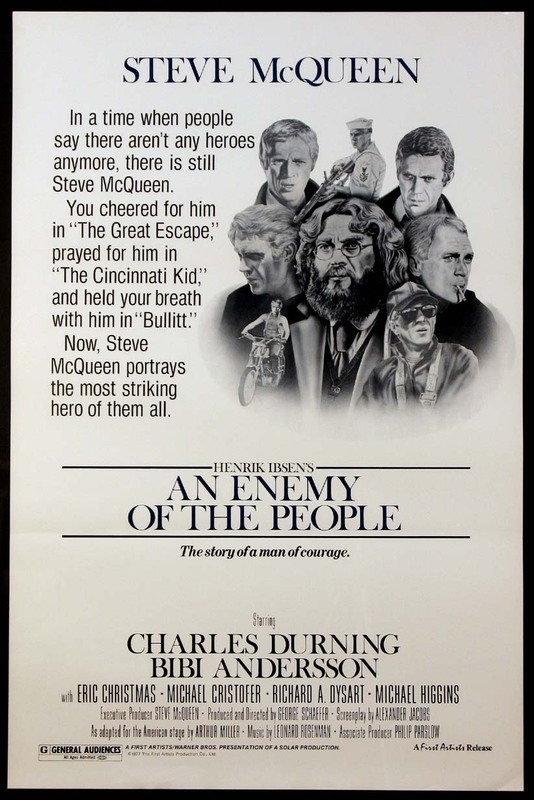 1-Sheet , 27x39 FINE, U.S.
Steve McQueen, James Garner, Richard Attenborough, Charles Bronson, James Coburn. 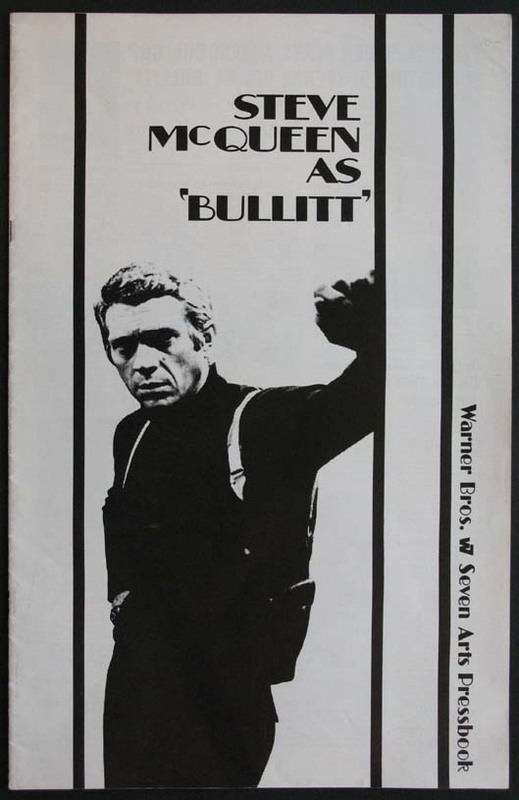 Rare size for McQueen action classic.. Directed by: Sturges, John. 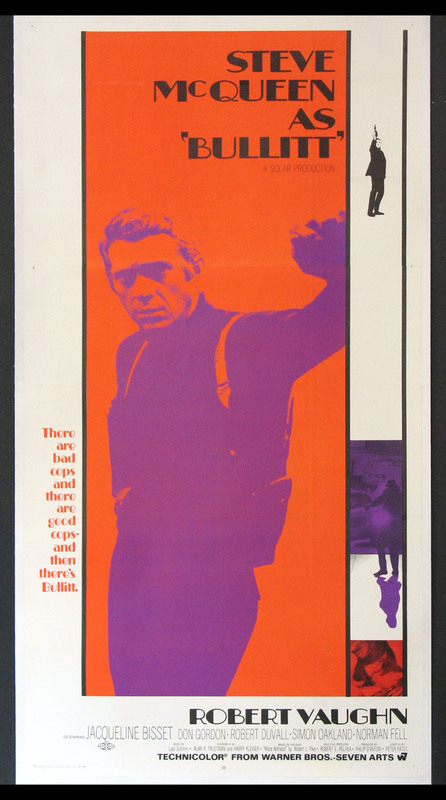 3-Sheet , 41x81 NM, U.S.
Steve McQueen, James Garner, Richard Attenborough, Charles Bronson, James Coburn. Directed by: Sturges, John. 6-Sheet , 81x81 NM, U.S.